My sister-in-law is having a baby girl soon, and her baby shower is this weekend. 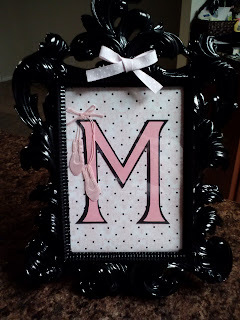 I made a picture frame with her daughter's initial and a matching card. I used Simply Charmed for the baby and cut the background mat from Formal Occasion. I added ribbon and put glitter glue on the carriage. I also added pearls to the wheels. I found those pearls in the $1 at Michaels, and I've had them for years. I also put the carriage on foam tape for dimension. Inside the card I added another mat and a sentiment. I also made a frame for one of her gifts. I've made these before, and they always get a great reaction. The frame is black, so it's hard to see, especially since I took the pictures really late at night. 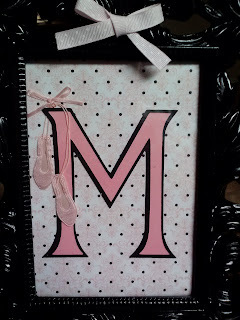 I used Alphalicious for the letters and added ribbon to the frame. The baby shower theme and baby's room is ballet, so I added ballet slippers to the letter. I think they are from The Paper Studio. I hope my sister-in-law likes her gifts. 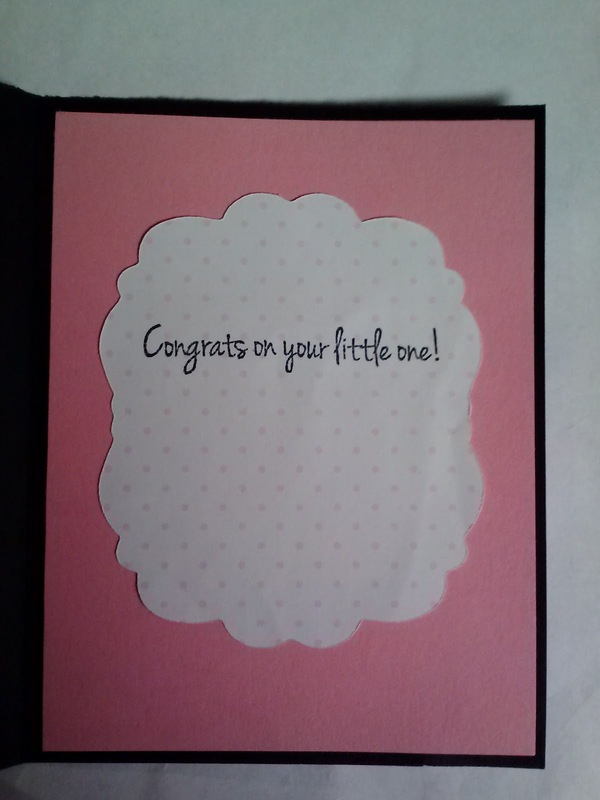 Hello, Evelyn: You created a delightful baby card and matching framed art --your SIL will surely love them. 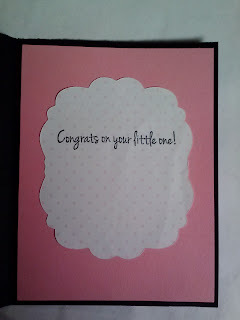 Thank you for entering your cute set in Simply Create Too's Challenge #36 - "Babies". The card is so sweet and cute BUT your frame is simply beautiful! They make a great set. Thank you for playing along this week at FCCB! This is so lovely, wonderful card and that frame is gorgeous! Hi Evelyn - your card is soooo cute, especially the baby peeking out of the pram! 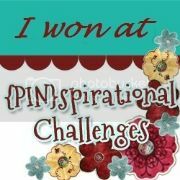 Good luck to your SiL and thanks for sharing your card at Lexi's Creations this time. Such a fun card- love the buggy! Thanks for joining us at Corrosive Challenges! These are adorable! I love how you framed the little baby carriage and the frame is fantastic! The ballet slippers on the initial are a great touch. Thanks for joining us at FCCB this week!! I'm positive your sil will like the gifts! Thanks for joining us at UnstampaBelles. Your framed project is beautiful! I love the colors pink and black together! It looks really fabulous! Such a pretty frame, it's so elegant! Thanks for joining us at FCCB!! 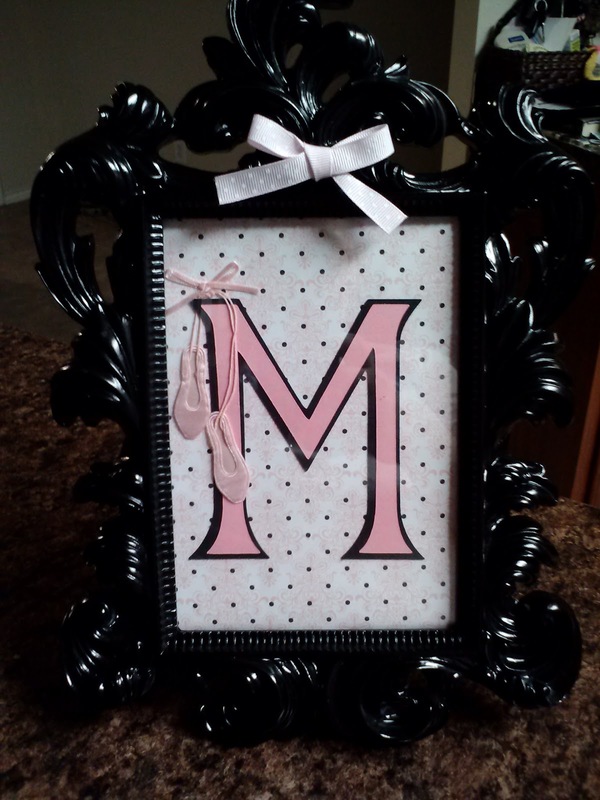 Very sweet picture frame you have created. Great gift idea. Thanks for sharing this with us at Unstampabelles. Thanks for joining in the Bargain Bin Challenge at Shopping our Stash this week! 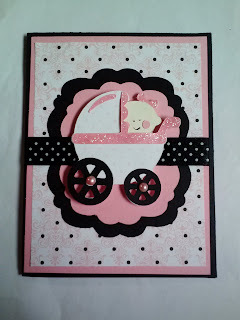 Loving that glittery baby carriage paper! Fabulous card! Aaahhhh....too cute; that carriage is adorable!